A crowded and popular scientific session at Internal Medicine 2009 outlines the essentials of psoriasis, eczema, acne, rosacea and warts. Diagnosing addictions are often based on one question. An expert offers advice to make that one question count, and to move from diagnosis to treatment. An art masterpiece inspired goiters as a fashion trend in Baroque-era Europe, and in the modern age kicks off a discussion on diagnosing nodules that can be palpated in only 7% of women and 2% of men. An experts counsels how to detect them. Vaccines have an undeserved bad reputation, so a Master of the College promotes their use and discusses common errors in administration..
Declining mortality from breast cancer creates a new problem. How will internists decide which patients will benefit from the new treatment and prevention strategies? Also, get an advance look what will influence the next 10 years of treatment. Once a patient is taking 10 or more drugs, they face drug interactions. Douglas S. Paauw, MACP, addresses the most common problems, including the details of grapefruit juice and statins, thyroid-replacement therapy, proton pump inhibitors and warfarin. Whether they were catching a Congressman in the hallway or pleading their personal stories to legislators, participants in ACP's annual Leadership Day were united in the message to their state representatives: save primary care. More than 400 ACP members gathered in Washington, D.C., on May 20 to lobby their senators and congressional representatives on behalf of internal medicine. D. Lynn Loriaux, MACP, talks about how he transitioned from forestry to husbandry to internal medicine, hiw skills at the trumpet, and searching for cures to endocrine diseases at the Institutes of Health. ACP Internist and ACP Hospitalist have been honored with two national editorial awards from the American Society of Healthcare Publication Editors. ACP Internist digests the best of Internal Medicine 2009, including standing-room only sessions and the introduction of interactive coverage, including e-mail digests, blogs and Twitter. Readers tell the College about their fears and hopes for the patient-centered medical home, as others fancifully reimagine how health care could be reconstructed. What's new in ACP Hospitalist and other College publications. Recent scandals challenge physicians' abilities to embrace the incredible volume of information information and translate new research into bedside practice. Medicares new audit program is ramping up, and the College offers practical advice onhow to reduce the administrative cost of compliance. Use active lisenting, self-management and other communications tools to provide better care for patients.ment in medical practices. 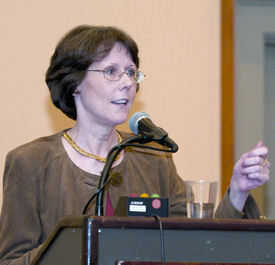 This year's 2009 National Associates and Medical Students Abstract Competitions at Internal Medicine 2009 showcased more than 300 Associates and 80 medical students who presented their displays to a team of judges for review. Robert L. Grissom, MACP; James R. Miller, FACP; and Walter L. Henry, Jr., MACP. A 20-year-old male college student is having trouble sleeping because of an itchy rash on his hands and inner aspect of his arm.